The Chicago Cubs, owners of the best record in the Major Leagues, begin a three-game inter-league series with the Tampa Bay Rays, who own the best record in baseball over the last six weeks, Tuesday night at Tropicana Field. 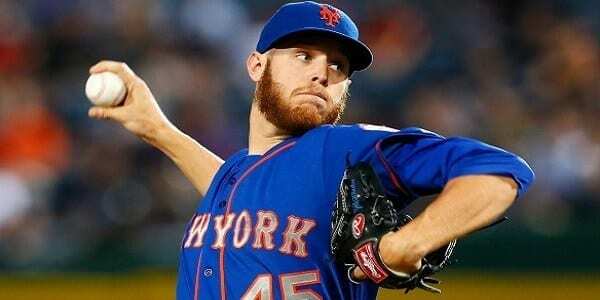 Hardball bookies are listing Tampa Bay and starting pitcher Scott Kazmir (6-2, 1.74, .97 WHIP) as -140 home favorites for Tuesday’s game, with a total of 7 , while Chicago and Ryan Dempster (8-2, 2.81, 1.06 WHIP) are getting +125 as road underdogs. Chicago just took two of three games from the Blue Jays in Toronto over the weekend, and have won six of their last seven. So going into this series, the Cubs lead the NL Central by 3 1/2 games over the second-place St. Louis Cardinals. Tampa, meanwhile, has won eight straight home series after beating Florida two out of three over the weekend. So the Rays still hold down second place in the AL East, trailing the division-leading Boston Red Sox by two games. The Cubs may be 20 games over .500, but they’re just 16-17 on the road this year. They’re also 7-9 as underdogs, and 38-32 vs. the run line. TB is 26-11 at home this season, 25-12 as favorites, and 38-31 vs. the run line. These two teams haven’t met since 2003. Over his last three starts, including a complete-game win over Atlanta last Wednesday, Dempster has given up eight ER and 18 baserunners in 19 1/3 IP. Chicago is 113 in Dempster’s starts this season, the totals 6-7. Dempster hasn’t a regular-season game vs. Tampa Bay since he was with the Cincinnati Reds in 2003. Over his last three starts, including a good outing vs. the Angels last Wednesday, Kazmir has allowed five ER and 21 BR in 21 2/3 IP. The Rays are 62 in Kazmir’s starts this year, the totals 3-5. Kazmir has never started a regular-season game vs. the Cubs. Offensively speaking, the Cubs lead the majors in team batting and team OBP this season at .283 and .361, rank 5th in team slugging at .442, and are averaging a healthy 5.5 runs per game. Tampa ranks 13th in batting at .262, 10th in OBP at .333, 17th in slugging at .408, and is averaging 4.5 RPG. The Cubs bullpen has given up seven ER and 25 BR over its last five games, covering 14 1/3 innings of work. The Rays pen has allowed three ER and 13 BR over its last five games, covering 13 innings of moundwork. On the personnel front, Cubs LF Alfonso Soriano is still on the DL with a broken hand, and will miss upwards of 5-6 weeks of play. On the other side of this match-up, Tampa OF Carl Crawford is still serving a four-game suspension, and 1B Carlos Pena is on the DL with a broken finger. The totals are 31-34 in Cubs games this year, and 1-3-1 over their last five games, thanks to Chicago pitching having allowed just 13 runs over that span. The totals are 28-40 in Rays games, and 12-25 in games played at Tropicana Field, which are averaging just 7.6 totals runs this season. Zman’s Pick: What a great pitching duel! We usually steer clear of playing under anything below 8, but there’s a better than average chance that 3-5 runs will be tonight’s total when it’s all said and done. Take the UNDER 7.5 runs.